DEFINED: Blog | "Taking an EDUCATIONAL Approach to YOUR Therapeutic Massage Needs"
Some experts claim that stretching is a bad idea and they aren’t wrong! If you stretch too much or attempt to stretch without the right goals or proper instruction, it could lead to disastrous outcomes. Most people are unaware of the components of good stretching. Determining goals and learning what type of stretching that works best for you are most important to avoid pain and injury. Stretching can not only prevent injury but help to promote health and wellness. The 2 main goals to consider when stretching are whether you want to just prep the muscles for strenuous activity or whether you would like to lengthen the muscles to increase range of motion and improve movement? If you are getting ready for a work out or about to do strenuous activity the type of stretching that would be better suited for you would be Ballistic, which involves bouncing , or a short duration static stretches, which involves holding a stretch for a short period of time. You also want to make sure that you are stretching target muscles that you will be utilizing. If you are looking to improve your range of motion and optimize movement while recorrecting your posture, then you would be more suited to visit a specialist that can help teach you Static, Active Isolated, and/or PNF stretching that would include the proper movements, adequate amounts of pressure and durations, and tips to avoid overstretching. The idea behind stretching, either for activity prep or for increasing range of motion, is to avoid injury. Stretching increases blood flow to the area which increases localized temperature making the muscle fibers more pliable and easier to reduce muscular tension. The increase in blood flow also brings nutrients to the area that assists in the recovery of muscle tissue from activity and injury. With benefits like that, it should be an easy choice that stretching is a good move, but remember to stretch smart and stretch well. Always remember to seek professional advice on stretching from professionals such as chiropractors, massage therapist, personal trainers, and rehab specialists! This time of year, with Valentine’s day around the corner, we start thinking about hearts a little more. We express love and other joyful feelings that “come from the heart,” but how often do we really consider our heart’s health and what a healthy heart can do for your body? Due to the stress of everyday life, poor nutrition, and many other factors, our heart can reduce it’s natural ability to properly pump blood throughout the body effectively. Why is this so important? Blood contains Oxygen and many other essential nutrients that assist our body in carrying out functions to survive and perform actions. How can we prevent and maintain our heart’s health easily and effectively ? 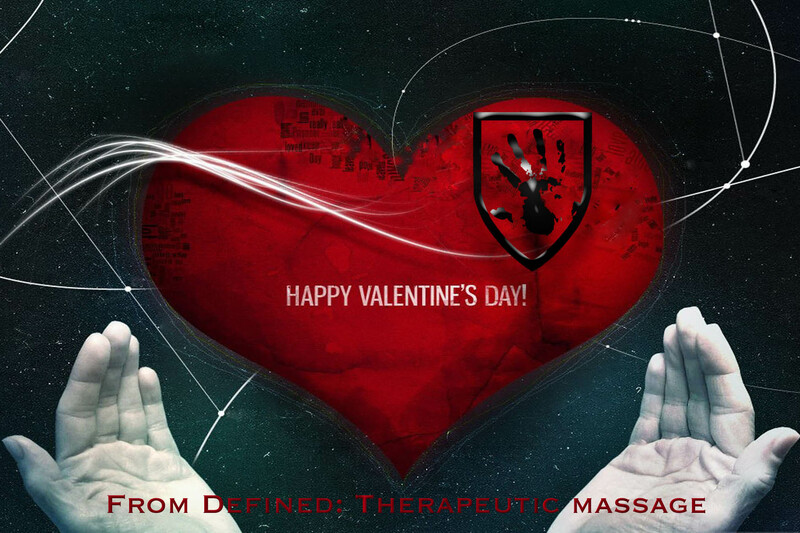 Keep your heart strong and healthy with massage! Massage therapy assists in relaxing the nervous system which allows the body to reduce the amount of Cortisol, a stress hormone, that the body produces. Following the reduction of the hormone, the body is calm which allows heart rate to slow down decreasing the amount of stress and muscular fatigue on the heart muscle it self. Another great way that massage helps to reduce the stress and fatigue on the heart is by reducing tension in the muscle fibers. How would this effect the heart you may ask? When tension is taken off of the muscles blood flow increases naturally, this process takes any additional strain off of the heart. The heart regulates it’s effort to pump blood depending on the demand for nutrients throughout the body and since the blood carries nutrients, if there is any interference, the heart feels that it has to pump hard to compensate when in actuality, if we take away the interference, in this case tight muscles, blood can flow effortlessly and efficiently with less strain on the heart. Proper nutrition, exercise, and stress management all play an important role in keeping your heart healthy, add massage therapy in the mix and not only will you feel better, but you amplify the results of those efforts! One tradition around this time of year that people have been following less and less over the years is setting and more importantly achieving New Year’s Resolutions. In a study from December 2012 conducted by the University of Scranton, less than half of Americans regularly set resolutions any more and of those only about 8% successfully achieve their goals! Why is it that resolutions seem to be fading away from us? Most likely it is because we usually set resolutions based upon our past disappointments such as quit smoking, loose weight, & be less cluttered. When we look at these resolutions, they may have a tendency to remind us how we have let ourselves down in the past and it is often times this reminder that just allows us to give up on our resolutions. So what would be a good solution to this issue? Think about setting a New Life Resolution. Albert Einstein once said “Insanity: doing the same thing over and over again and expecting different results.” This quote could not be closer to the truth. Humans are creatures of habit and seem to fall back into routines that we are comfortable with, but when those routines don’t work something needs to be adjusted. Setting 1 or 2 resolutions to achieve may not really impact your life enough to notice a change and that is why you may consider that New Life Resolution. Changing several aspects of your everyday by taking “baby steps” and shifting the way you live will have a bigger impact than forcefully and aggressively changing only 1 or 2. Think about it, most people look to exercise more, so they purchase a gym membership and start going to the gym five to seven days a week and push it to the point that they hurt or get exhausted within a month, then they stop and usually never look back. A better option is to just start walking 2 to 3 times a week and when you feel comfortable with that, move on to bigger better things. Appreciate the little accomplishments first because they are the foundation to larger and longer lasting accomplishments that will help you live a better life. As a massage therapist I have noticed over the years that regular massage has helped stimulate the production of “feel good” endorphins which in turn helps maintain a positive attitude. A more positive attitude makes it easier to reach previously set resolutions and goals. Perhaps you can look into what many consider an “unconventional” approach in achieving this year’s resolutions and add regular therapeutic massage to your New Year’s routine! Have a very safe, healthy, and happy 2015! Our bodies can’t utilize refined sugars and when it attempts to, sugar strips the body of essential vitamins and minerals due to the excess demand needed to digest, detoxify, and eliminate the sugar. This process goes on to produce “toxic metabolites” that accumulate in the brain and nervous system and interfere with cellular respiration which is very damaging to our bodies. 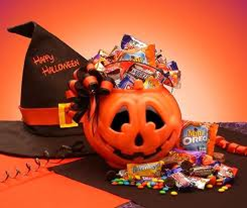 Our sweet tooth can get the best of us, but beware or it can be damaging to your health. The trauma from sugar can be repaired by the body when sugar intake isn’t excessive. It is recommended by the American Heart Association that daily sugar intake should not exceed 25g for women and 38g for men. Seems like a lot until you realize that a single can of soda contains about 35g of sugar alone! You don’t necessarily have to cut sugar out of your life completely, but if you can become more aware of what contains sugar and moderate your consumption then you can become a healthier YOU! Do you suffer from chronic neck and upper shoulder pain on a regular basis and can’t figure out why? Perhaps you are one of the 66-90% of the population that suffers from a very common condition know as Forward Head Posture (FHP). FHP can be recognized when, from a profile or side view, a person’s ear is positioned in front of the shoulder rather than directly over it – in proper posture. This condition caused by poor posture causes the head to lean forward and for every inch that the head falls forward the head gains 10lbs worth of weight on the muscles of the neck and shoulders. 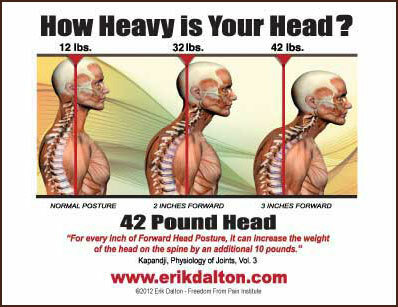 The addition strain causes these muscles to work much harder to hold the head from flopping forward. When this type of stress is put on muscles for a long period of time, the body reacts by laying down scar tissue in the muscle fibers for stability. The strain on the muscles and the addition of scar tissue limits flexibility and causes additional pressure on the nerves in the neck which increases pain and fatigue. If left untreated and FHP becomes severe enough, it will not only cause long duration tension headaches, but can also increase blood pressure, cause disc herniations, arthritis, pinched nerves, and even distortions in the eyes and ears that could lead to mental disorders. 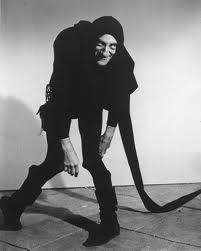 Over a period of time, forward head posture can lead to a “hunchback” like Igor! There is hope in correcting FHP: starting by identifying the incorrect posture through postural analysis, the following step would be to stretch out the muscles the have become tightened then strengthen the weak muscles so that you are able to hold your head up in proper posture. It’s always good to seek the advice of a professional, such as a chiropractor, to ensure there aren’t any major skeletal problems as well as a massage therapist to help ease the tension in the muscles. The same professionals can show you the proper stretches and exercises to prevent the havoc of FHP! The profession of massage therapy is evolving everyday to expand and branch out into many different realms proving that it is a value part of healthcare. In the same manner, the art of professional wrestling is evolving to produce better action, healthier athletes, and longer careers for said professionals. I personally have reached outside the box for the typical demographic of massage therapy and entered the ring with treating professional wrestlers as part of my extended clientele. This past Sunday, I was lucky enough to have the legendary Mike Mooneyham document the work that I have done with professional wrestling and how massage therapy has made and impact on the profession. Click the link below to read the article. Enjoy! 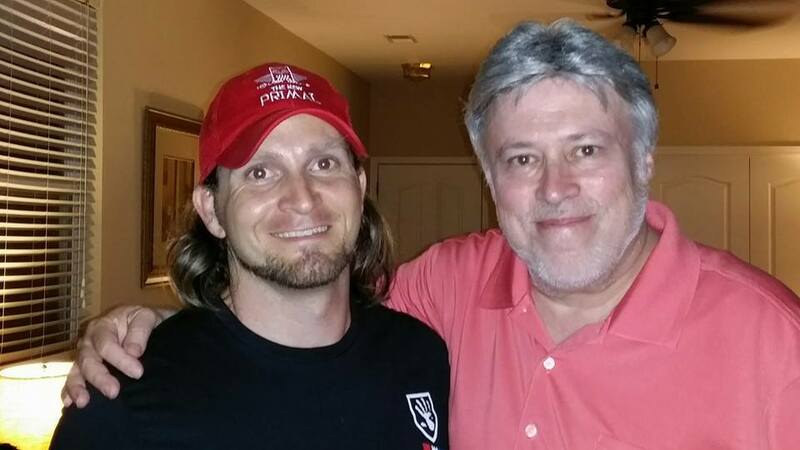 Jarrod C. Fritz LMT and The Post & Courier’s Mike Mooneyham. Mike is the longest reigning pro wrestling editor ever! Your Muscles’ Memory and YOU! Have you ever wondered how it can be so easy for some people to do certain motions such as holding proper posture, swinging a golf club, or speaking a different language, when it seems so difficult for you? Maybe you are curious about how workouts become easier after a short period of time? The body has a process called Muscle Memory. Does this mean that each muscle has it’s own memory? Nerve impulses follow the path of least resistance and this is why it can be difficult and even painful to learn new movements. As muscles weaken, become injured, or are put in compromised positions such as bad posture, they become bound by toxins and scar tissues that limit movement. The fewer resistance in the muscles the easier it becomes to retrain muscle memory and less painful the process will be. 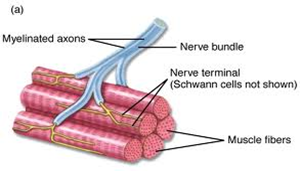 A NeuroMuscular Junction is where the nerve meets and muscle. This is where the brain tells the muscle when and how to move. Most people suggest working through the pain and difficulty, but you don’t necessarily have to take that route. Therapeutic massage and proper flexibility training helps to break down scar tissue and assists in removal of metabolic waste build up in the muscles. This allows for easier training of the muscle memory, so if you are starting a new workout, wanting to optimize your performance, or more importantly improve your posture try adding regular massage therapy and a good stretching routine into your regiment to improve your memory!